No Confidence Motion: NDA To Beat UPA! NDA Government is on the verge of surpassing the record set by UPA Government when it comes to denial of discussion on No Confidence Motion for maximum number of times. Various parties including YCP, TDP and Congress has been moving No Confidence Motion against NDA Government since March 16th. 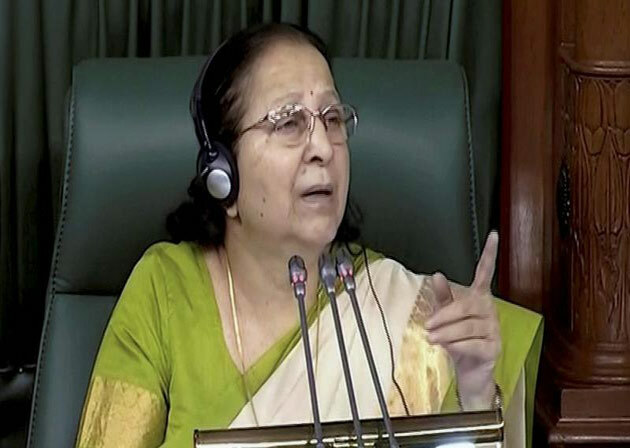 However, Speaker Sumitra Mahajan kept saying debate can't happen as long as the House wasn't in order. Same thing repeated even on the 8th working day (Wednesday). In 2013, Seemandhra Congress MPs (Undavalli, Lagadapati, Rayapati, Harsha Kumar, Sabbam Hari and Sai Pratap) moved No Confidence Motion against their own UPA Government in protest against bifurcation of United AP. While the first notice was issued on December 9th, Last notice was submitted on December 18th. This lasted for seven working days. NDA is likely to break the record of UPA Government. Six expelled Seemandhra Congress MPs moved notices for No Trust Motion against UPA for nine working days from February 5th to 18th, 2014. If Speaker doesn't allow debate even in the first week of April, This is certainly going to happen.